Coffee and chocolate, enough said. A combination made in heaven. 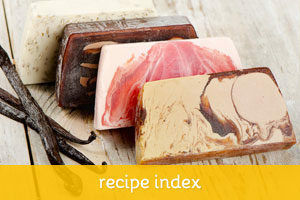 This recipe makes a soap bar that is thick, creamy and super rich. The subtle smell of coffee and chocolate will make you want to eat it! 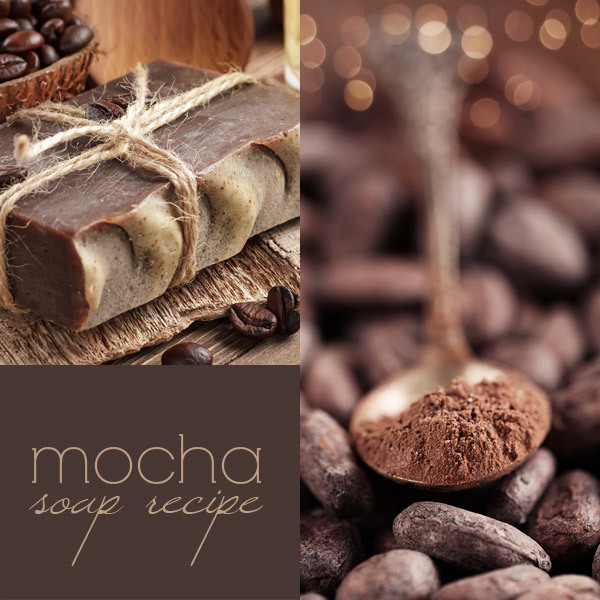 cocoa powder (approximately 1 tsp per pound of soap). I’m sharing this recipe in percentages so it’s easier for you to make as much or as little soap you want. 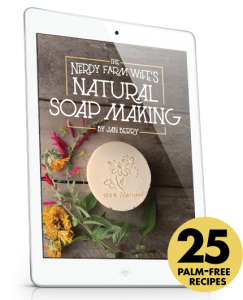 Simply run the recipe through a lye calculator to get the exact numbers you need for a given amount of soap. Melt the oils and add lye to double strength coffee. Put some of the melted oils in a separate container — just enough to mix the cocoa powder until it’s well dissolved (you don’t want to end up with clumps in your soap). 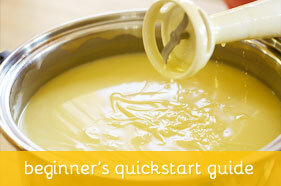 Add the lye mixture to the oils and mix using a stick blender. At light trace, add the cocoa powder mixture and blend until smooth. Pour into mold, wrap in a blanked and let it sit for 48 hours. Unmold, cut into bars and let cure for at least 4 weeks in a cookie rack in a well ventilated room. I got a great question over at the Facebook page about “double strength coffee”, so I’ll post the answer here as well so everyone can read it: “double strength coffee” is made with twice as many coffee grounds as usual, creating a very strong, concentrated coffee. You can either do it in a french press, or run already brewed coffee back through a coffee maker over fresh grounds. When using coffee to make the lye mixture, it may smell bad for a while but the odor completely disappears during the curing process, so don’t worry! As for the cocoa powder: although this recipe suggests 1 tsp per pound of soap, the total amount is completely up to you. 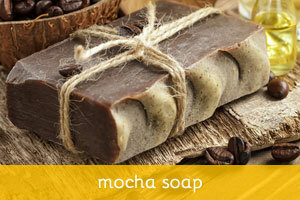 More cocoa means a darker colored soap with a nice chocolate smell, but your lather will be brown.